I was thinking about my upcoming trip to California when I designed our block # 26, The Hotel, for the City Girl Sew Along. Yes, it is another simple one as we cover most of the sights found in a city. Get ready and let's sew! 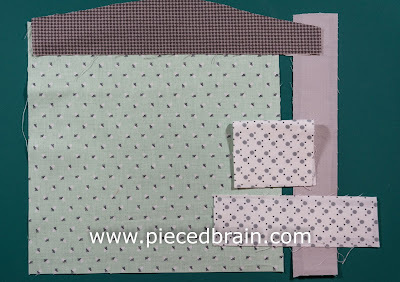 All fabrics are by Riley Blake Designs (the background fabric is Sew Charming by RBD). 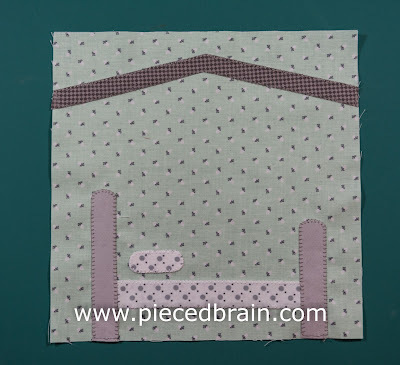 You can use one fabric or piece your background as we did for blocks 21 and 23. 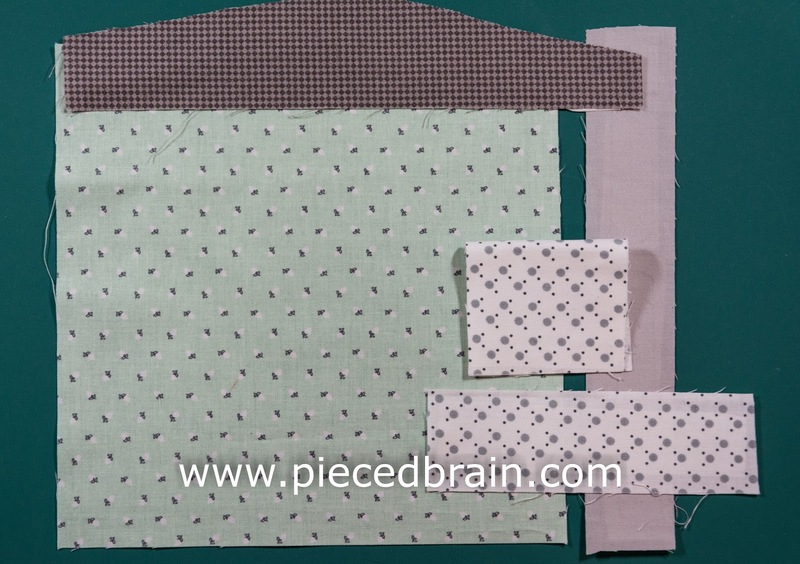 Gather all your materials near your sewing machine. Download template by clicking here and trace it onto smooth side of fusible web (for more details about how to work with fusible web, click here). 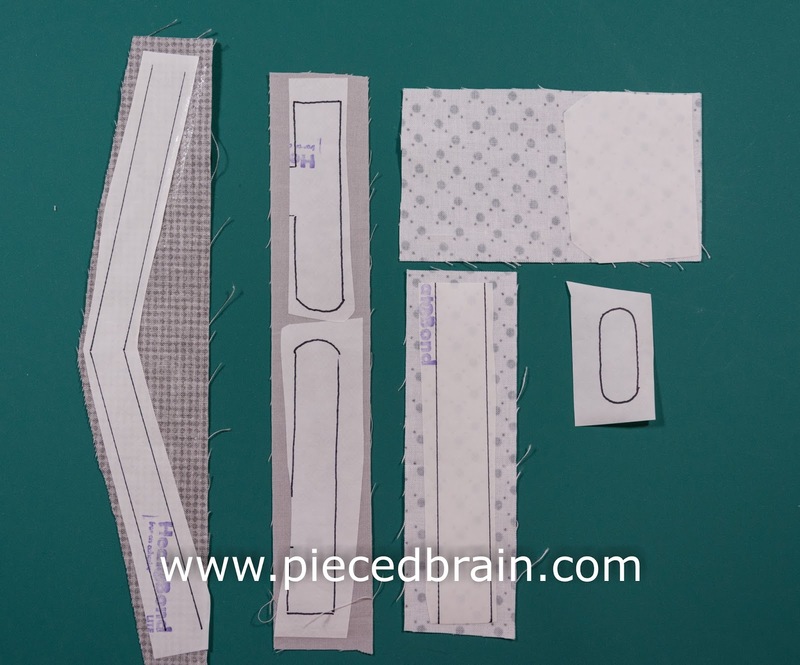 Fuse shapes to wrong side of each fabric and cut around shapes using sharp scissors. Using the picture above as guide, fuse shapes onto background fabric and machine applique each one using blanket stitch and matching thread. Done! Stop by again next Thursday for block # 27. Until then, enjoy a lot of sewing and quilting time!